It is so ironic that I did not buy a single Lakme lip product when I was in India but recently I had this sudden Lakme craving. But you all might think I must be stupid to do that and pay more for Lakme products which are being imported here. Ah Haan! no I am not. I got 5 Lakme products for just INR 1250 which is impossible in India too and they are not fake ones but original and well within the expiry date. There is this huge Retail Giant called Mustafa here, which most of you would have heard of or been to if you had ever visited Singapore. They stock up on most of the Indian products and when new products come in, they have this Clearance Sale where they sell 2 products for 10 SGD. I went crazy in the Lakme section and did not know what to pick and what to ignore.However, after spending about 30 minutes with strange eyes staring at me for being transfixed in the same place while the others were filling up their trolleys, I finally decided the products. 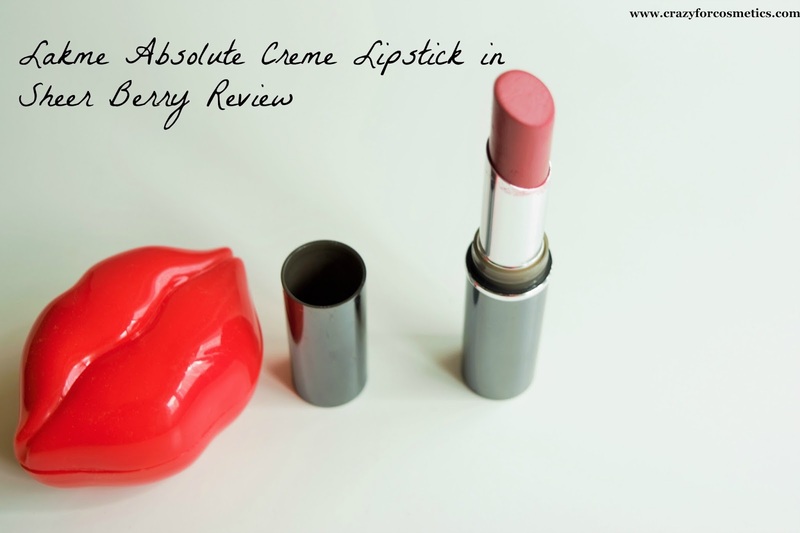 Lakme offers some great products and I have been intrigued to try their Absolute range for a long time.So I got some products from their Absolute Range which I know is an old range but I really do not mind that.Today I will be reviewing their Absolute Creme lipstick in the shade Sheer Berry. Luxurious by nature, Lakmé Absolute Crème Lipcolor has a fabulous reputation of high colour pay-off; which means no regular touch-ups. Enriched with Vitamin E and Wheat germ oil, this rich crème stick will always keep your lips silky smooth and soft. 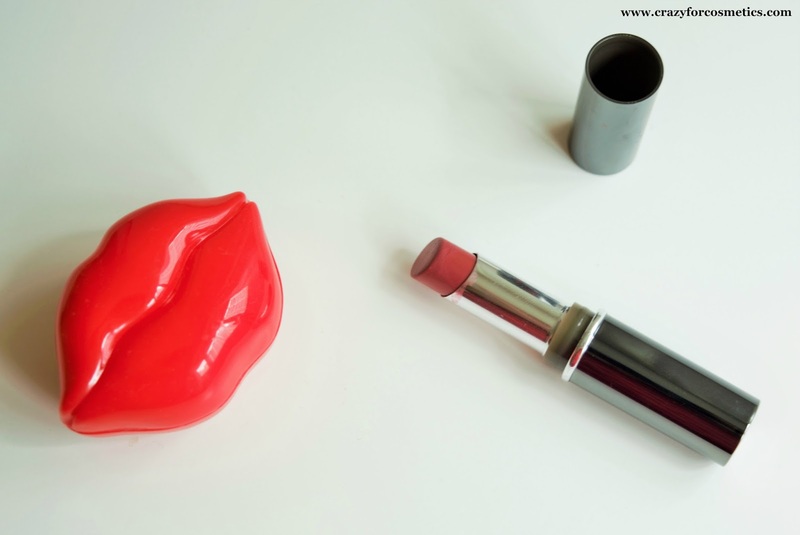 The lipstick comes in a silver color retractable tube which looks absolutely classy and it is very compact. The packaging is not transparent and hence the shade is not visible from outside. 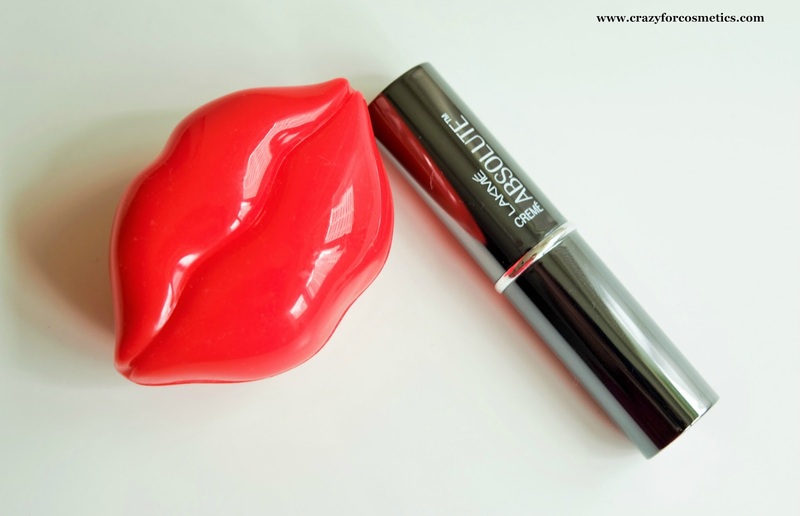 The lipstick comes in a normal twist up format and it is pretty sturdy. The shade Sheer Berry is a mild pink with earthy tones and it is a beautiful daily wear shade. The Colorbar's Velvet Matte Bare lipstick is kind of a similar one but unfortunately it washes me out at times if I am tanned. 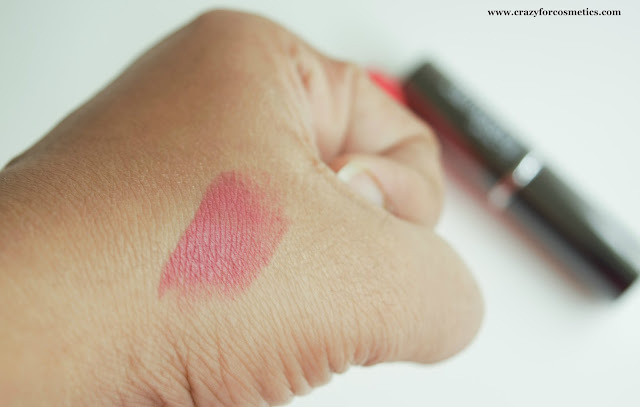 Lakme's Sheer berry is a perfect MLBB shade suitable for Indian skin tones.The formula of the lipstick is really creamy and comforting especially during summers when wearing matte lipsticks can be all the more drying and a creme formula such as this can be a good choice. The lipstick feels like butter while applying but at the same time you require 3 to 4 swipes for achieving a decent color show up. 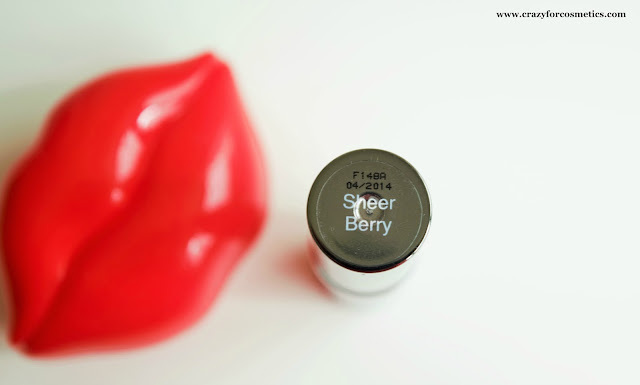 It glides really smoothly on the lips and it feels very light on the lips. 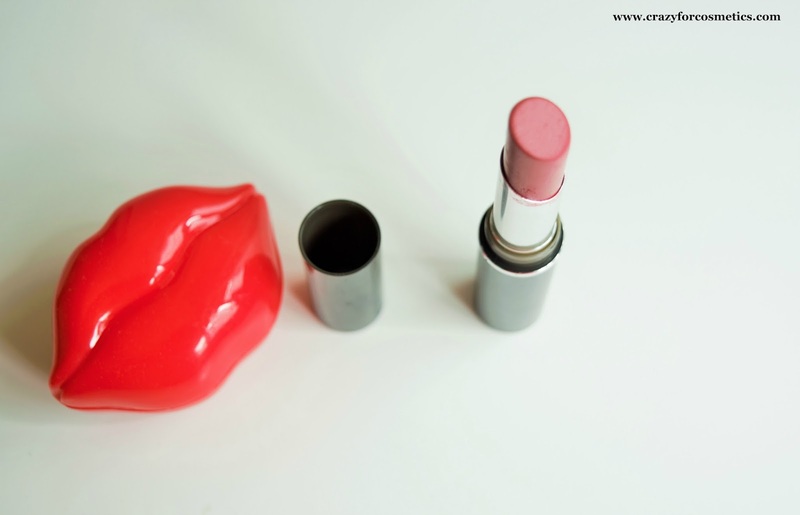 Your lips do not dry out while using this lipstick and it eliminates the use of a lip balm because of the creamy texture. The stay time is about 3 to 4 hours with meals and drinks in between and I feel it is justifiable considering the creamy formula. 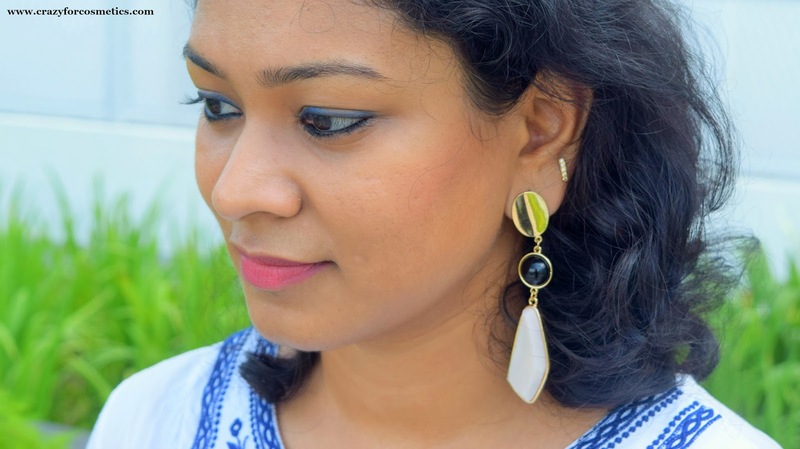 A wearable shade for Indian skin tones and the formula is amazing ! 1 : Stays for 3 to 4 hours which can be a con for those who do not like reapplying.